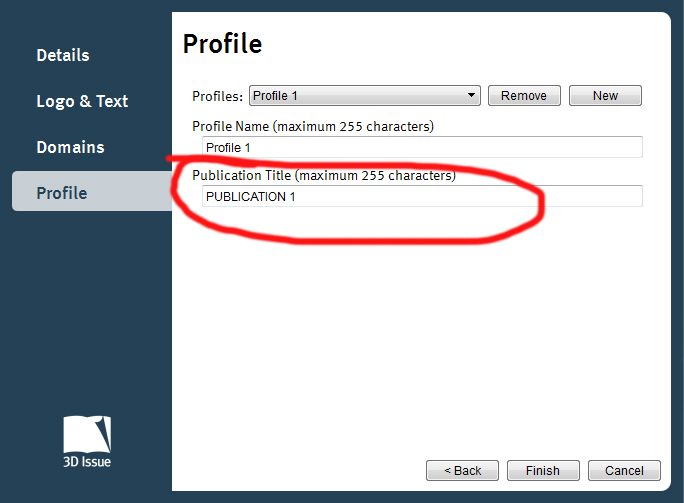 Open one of your projects within the software, by clicking on Open Existing and selecting one of your previous Issues. 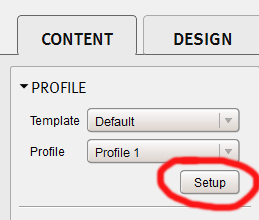 When you are within the software, click on Setup button under the Profile section (Content tab). This will launch the setup wizard. If you click on the Profile option, you will be able to change the name that appears on the tab here. Once this is done, please finish the setup wizard. 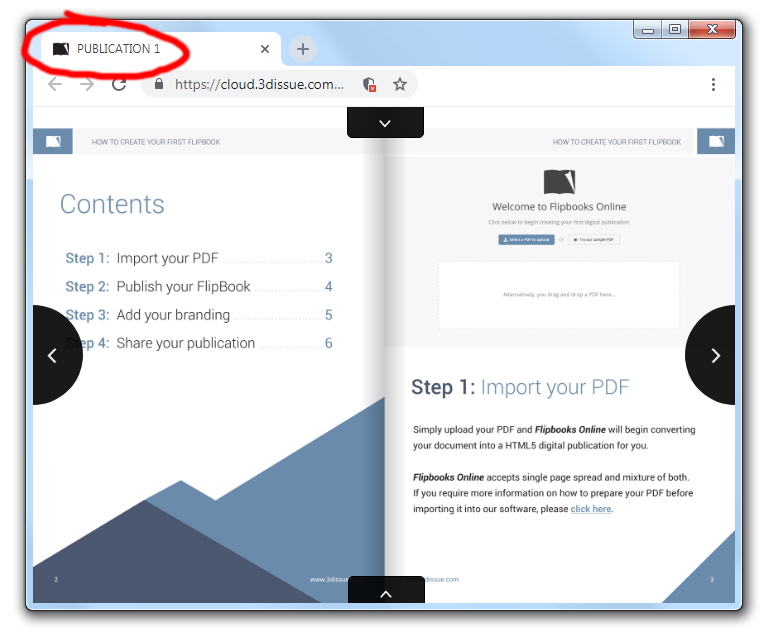 Click Build to re-upload your publication online. The name that appears on the browser tab should now be changed. You may need to clear your browser cache and refresh the webpage to view the change.